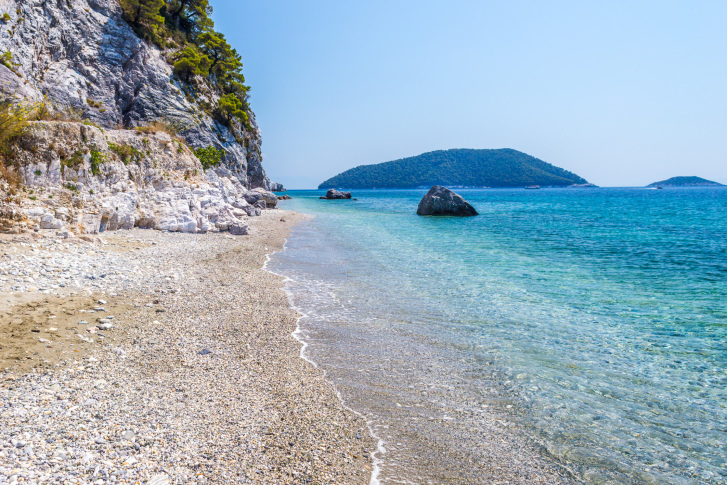 The main town on the island, Skopelos Town is just as charming as the rest of the island. The town itself hugs a few steep hills, and the winding roads that work their way through the inclines only adds to the charm. While here, visitors can take in the sights, such as the Agios Michali, one of the island’s oldest churches. You can also find all the typical things that make the Greek islands so great – beaches, nightlife, and plenty of restaurants and tavernas to give you a glimpse of the local character. While here, be sure to hit one of the traditional tavernas late at night to enjoy the traditional, soulfoul rebetiko music.